Thought I would share our Ask A Nurse column that will be printing in the Brookville Mirror in December. A very fitting topic for this time of the year. Q. My elderly mom always gets down around the holidays. Is there anything I can do to help? A. The holiday season is supposed to be a time for good cheer, celebration and family – or so the movies tell us. But the truth is, as we age, the holidays are a sharp reminder of how much life has changed and the loved ones we have lost. It’s perfectly normally your mom is feeling sad. There are things you can do to help her. First, can you identify something specific that is causing her sadness? Is she missing someone who has passed away? If so, be sure to acknowledge that loved one at family gatherings. Make a toast in their honor and spend time sharing favorite stories. Maybe she would like to make a trip to the cemetery to place a wreath or poinsettia on their grave. Is she lonely? During this busy time of the year, elderly loved ones may feel isolated or even forgotten. You’ll have to make time to contact her more during the holidays. If you live far away, it’s making extra phone calls, perhaps while you’re on the way to shop, and encouraging other family members to call too. If you live close, it’s visiting more often, even for just fifteen minutes. This will help remind her she is cared for and loved. Does she feel left out? Perhaps she always hosted holiday gatherings and now is unable to do so. Help her still feel a part of the planning and organizing by asking her questions, getting her input and keeping her informed of plans, menu choices and family news. Make new traditions. 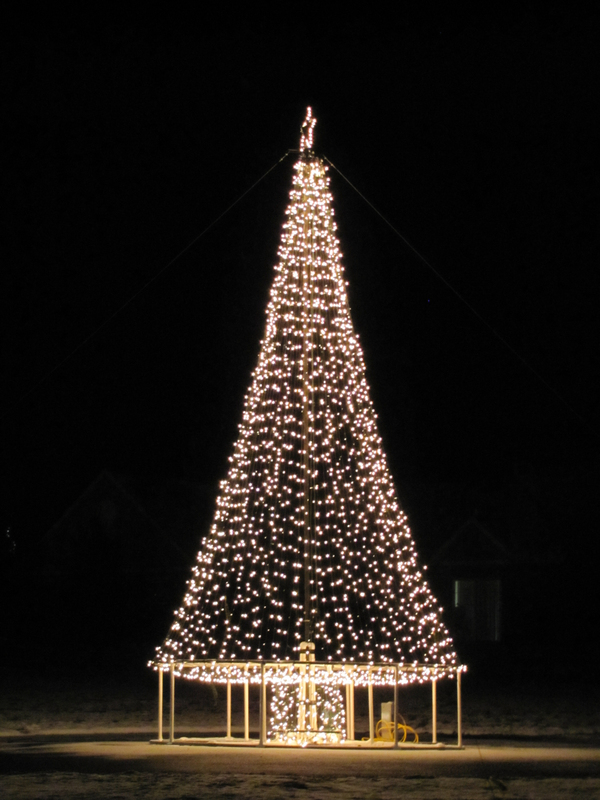 Laurelbrooke Landing holds a Light the Night event, including carriage rides, Santa, a bell choir, carolers, and other activities for all ages to enjoy together. Is she unable to celebrate the holidays like she used to? Was she always a cookie baker or loved to decorate? Help bring those traditions alive again. She would love it if you or your children asked for her help to bake a family tradition or decorate her home. Even if she is living in a long term care community, you could bring her a plate of her favorite Christmas cookies and help decorate her room. If her sadness lasts longer than the holiday season, and she is having trouble with sleep, loss of appetite, or loss of interest in things she used to enjoy, she may be experiencing clinical depression, which can lead to serious illness if untreated. If you suspect clinical depression, it’s time to talk to her doctor. She may even benefit from home health care. Our nurses assess and monitor depression symptoms and provide education and referrals for other services and treatments. For more information, call In Home Solutions PLUS at 814-849-5913. Wishing you and your loved ones a blessed and joyful holiday season! The Ask a Nurse column is brought to you by Brookville resident Kelly Snell, RN, who has been the Director of Professional Services for In Home Solutions PLUS since 2007. I steeled myself as I walked up the hallway at McKinley Health Center at Laurelbrooke Landing toward my grandma’s room. She had been living there for about a year and was in the advanced stages of vascular dementia. She didn’t know me as her granddaughter anymore, but still recognized me as someone she cared about as her eyes lit up with a smile. She would still hug me, hold my hand and listen while I talked to her even though she was rarely able to respond. When I would leave, even if she had said nothing else during our visit, she would still manage to say, “I love you too” as she patted my cheeks with both hands. It was the little things like that I held onto. Alzheimer’s Disease and other types of dementia are heartbreaking. It’s awful to watch your loved one slip away. You have to find joy in those little moments, cling to your own memories of them, laugh and mourn. At WRC Senior Services, we daily care for many individuals with memory loss. We know too well how hard it is on the caregiver. That is why we try to regularly offer resources to help. Since November is National Alzheimer’s Disease Awareness month, I thought this would be a good time to share some of those in a blog. This Thursday, October 25, we will be holding a free educational program at Edgewood Heights personal care home in New Bethlehem from 6:30 – 7:30 p.m. called “Tips for the Caregiver: Coping with Alzheimer’s Disease/Dementia.” We still have room for some more folks to join us. November 13 is National Memory Screening Day, and we will again be offering free memory screenings at our four personal care homes. You may wonder why get a memory screening when there is currently no cure for Alzheimer’s Disease or dementia? Well, there are some causes of memory loss that are easily treatable, such as medication side effects, vitamin deficiencies, underactive or overactive thyroid, depression or anxiety, infections and poor sleep. If the diagnosis is indeed Alzheimer’s Disease, starting treatment early can improve symptoms and slow the progression of the disease. It also gives you more time to plan for the future, develop support networks and get involved in clinical trials. For vascular dementia like my grandma had, the disease can be slowed or even halted if the underlying factors contributing to brain damage are treated, such as high blood pressure, high cholesterol or blood vessel blockages. So we hope you will take this opportunity for a free, confidential screening. A great resource for caregivers and their loved ones is the Alzheimer’s Association. They have an entire section of their website devoted to information about the disease, stages and behaviors, practical tips for providing care and coping, information about care options, guides for financial and legal planning, an online community for support, blogs and links to local resources. Another great link to local programs and services is your Area Agency on Aging. As a caregiver, you need a support line or many! There is a dementia support group that meets the second Monday of the month at 6:3o p.m. at the Brookville Hospital Education Center. There is a caregiver support group that meets the second Sunday of each month at 3 p.m. at the First United Methodist Church, 600 Wood Street in Clarion. You may find DayBreak at Laurelbrooke Landing very beneficial. Caregivers can bring their loved ones there while they are at work or for a break in caregiving. Attendees benefit from the safe environment, daily activities, wellness screenings, socialization opportunities and nutritional meals. For additional resources, visit our website or contact any WRC location. My grandma lived well with her disease for a number of years. In the beginning her memory loss was hardly noticeable. For years, she continued to drive, cook her wonderful memorized recipes, serve her church, travel and spend time with her family and friends. I cherish all that time. In the end, I cherished the little moments of clarity and the comfort I could bring her just by holding her hand. When we said goodbye, although I cried and mourned, I was happy for her. Because she was herself again and whole. So cherish the moments and don’t walk this tough path alone. The capital campaign for WRC Senior Services’ newest senior living community The Villas at Water Run officially kicked-off on August 14th in Clarion, PA, with a goal to raise $500,000 for construction. Prior to the start of the campaign, our office had already started receiving calls from individuals who wanted to help bring this senior living community to Clarion. As a result, thirty community members are volunteering their time to help with the project! We are humbled by the outpouring of support. As a 501(c)(3) not-for-profit organization, we greatly depend on the generosity of our friends in the community. A window graphic is installed on the capital campaign headquarters for The Villas at Water Run, inside the In Home Solutions PLUS office on Main Street in Clarion. The role of volunteers is vital, and it would not be exaggerating to say that society would fall apart without them. In our town of Clarion, we pull together to accomplish all sorts of goals, from planning the Autumn Leaf Festival to caring for our elderly. We all have a circle of influence within our home, with our friends and in our community that contributes in a positive way. We thank all the volunteers who are giving of their time to help bring The Villas at Water Run to Clarion, and we thank all those who support the campaign. 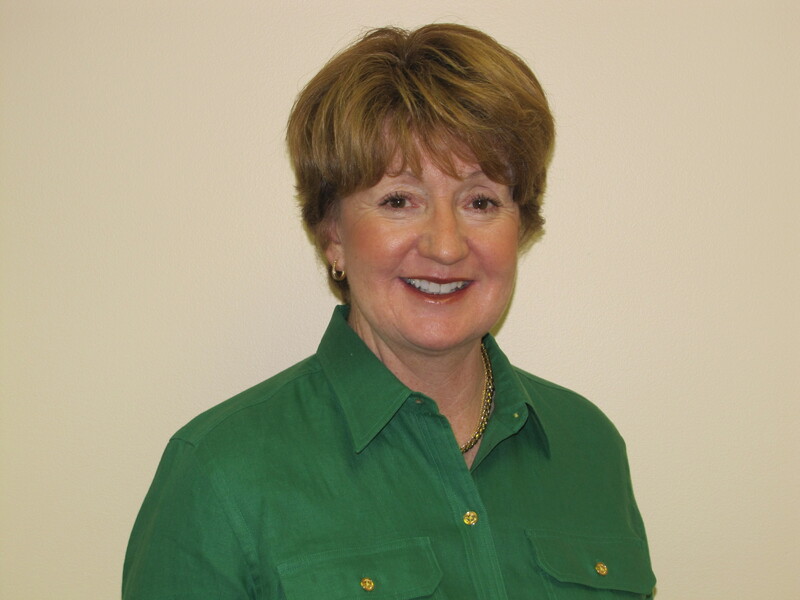 I’d like to share with you a letter from volunteer Vicki Smith of Brookville, who is serving as the chair of our capital campaign committee and is also on WRC’s board of directors. “WRC Senior Services is excited to be entering a new era in senior services in the Clarion area. The Villas at Water Run will embody the vision of WRC to be the foremost innovator of senior services. Three generations of my family have received care from WRC. As a consumer, I am appreciative of the quality care, compassion and support shown to my loved ones. Now as a board member, I am proud of the care we provide to our residents in beautiful and comfortable settings. Being involved in the development of WRC’s Laurelbrooke Landing in Brookville, I had the opportunity to visit many lovely senior residences across the state. As we toured these communities, I said to myself, ‘The residents of Brookville should and can have such a senior community.’ And now we do. If you live in the Clarion area or have been following us on Facebook, you’ve probably seen our big news. In the fall, we expect to break ground for a brand new WRC Senior Services’ community in Clarion called The Villas at Water Run. 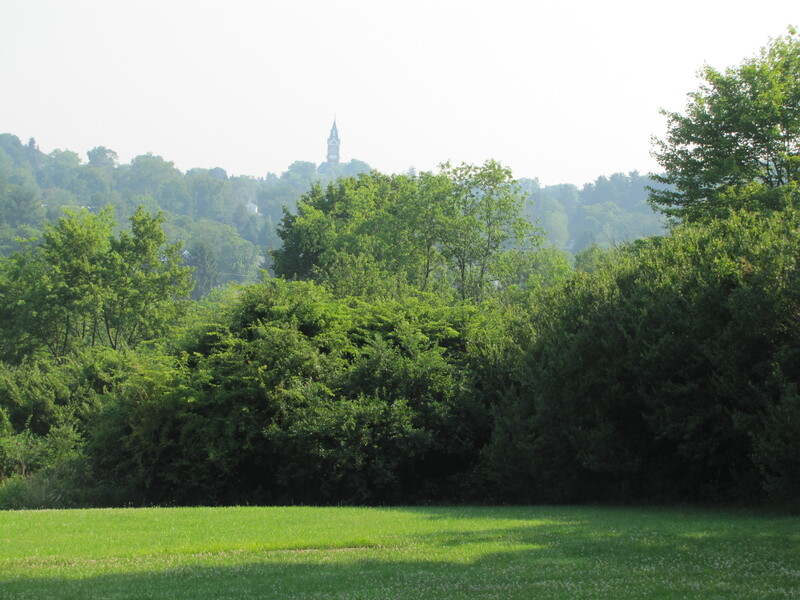 We have purchased a 20 acre property on Water Run Road in Monroe Township, just outside of the borough, on which we plan to build an assisted living with accommodations for 75 individuals, as well as a residential neighborhood for seniors with 38 custom-built homes. 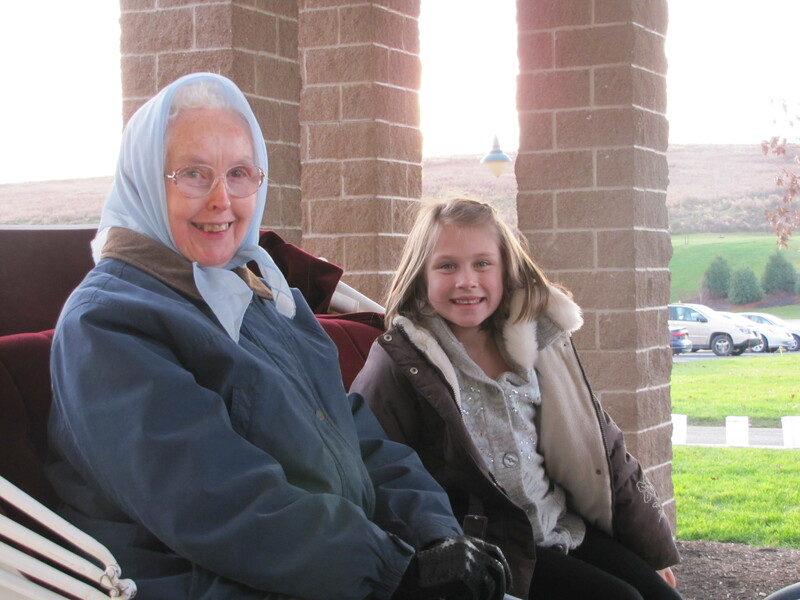 There is only one other assisted living residence in Western Pennsylvania! Assisted living embodies the concept of “aging in community,” meaning not having to move to another level of care if healthcare needs should increase. Why Clarion? WRC Senior Services began in Brookville in 1890 to care for disabled Civil War veterans, widows and orphans from the war. Since that time, we have grown into other counties in response to the need. Today in Clarion County, we operate Highland Oaks in Shippenville, Edgewood Heights in New Bethlehem and the In Home Solutions PLUS home health care agency. We opened Highland Oaks in 1988 inside a former office building and hotel. It is currently our oldest building; and rather than remodeling, our board of directors made the decision to build, eventually moving the residents. Through focus groups, we concluded that Clarion – more centrally-located, larger population and closer to the hospital and shopping areas – would be the best option. 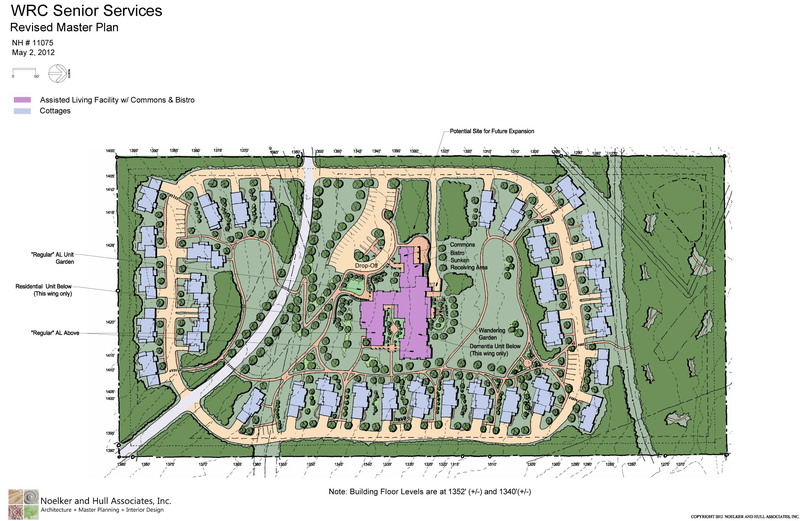 We have a master site plan and floor plans for the assisted living, subject to alterations as we move forward. We are working on the designs of the residential homes. Because of the amount of interest, we have begun taking priority reservations now for those homes and already have our first potential resident! To get on the list, call our Director Angie Conklin at 814-849-4131 or email her. We recently started an “Ask A Nurse” column in the Brookville Mirror and Clarion Mirror, free monthly publications spotlighting local businesses and events. The goal of our column is to answer common questions we get at our home health care agency In Home Solutions PLUS about senior services, diseases and home care in particular. Readers are invited to submit questions. We thought you might be interested in seeing the first column that ran this month. Please help us with future editions by submitting a question below or emailing it to dwise@wrc.org. Q. My 79 year old mother is in the hospital right now, recovering from a severe bout of pneumonia. I’d really like her to return to her own home after she’s discharged, but she’s gotten really weak. Would we be able to get nurses at home to help her? 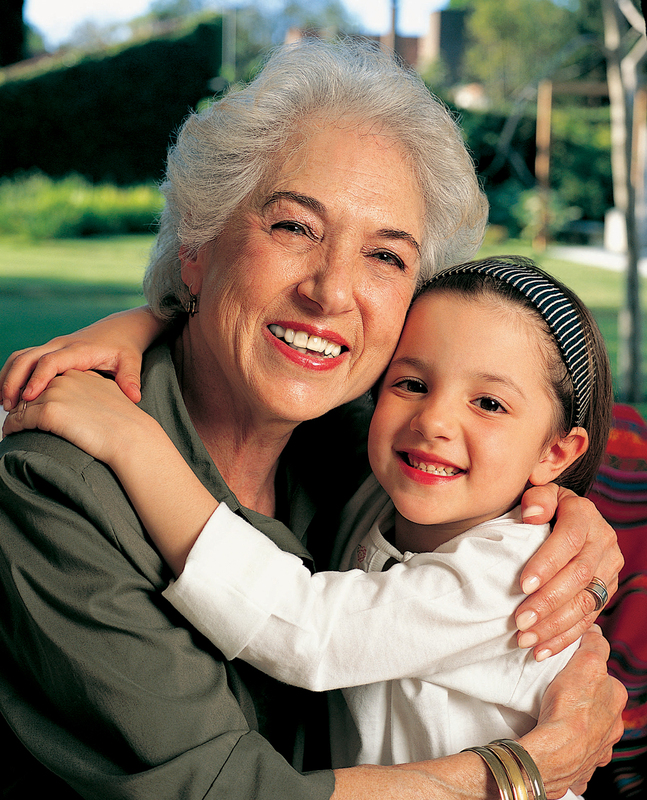 Your mother could very well get skilled home health care to help her gain her strength back. Home health can be paid for by Medicare, Medicaid and some private insurances. For patients with Medicare coverage, a qualifying factor to receive home health care is they are “homebound.” This doesn’t mean the person can never leave their home. It means that it is physically demanding for them to do so, and their outings aren’t very frequent. Going to church, doctor’s appointments, the beauty shop or out to dinner once a week does not disqualify a person from receiving home health care. 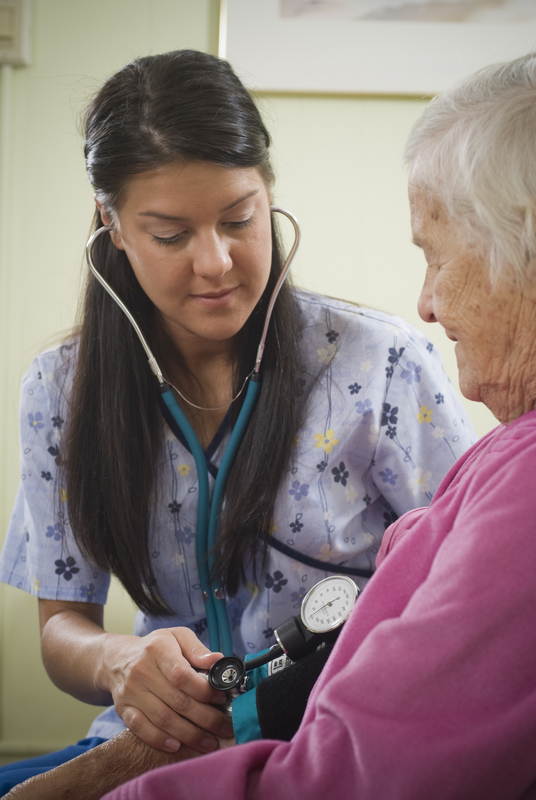 Home health nurses are specialists and will use a multi-disciplinary approach to help your mother regain her strength. 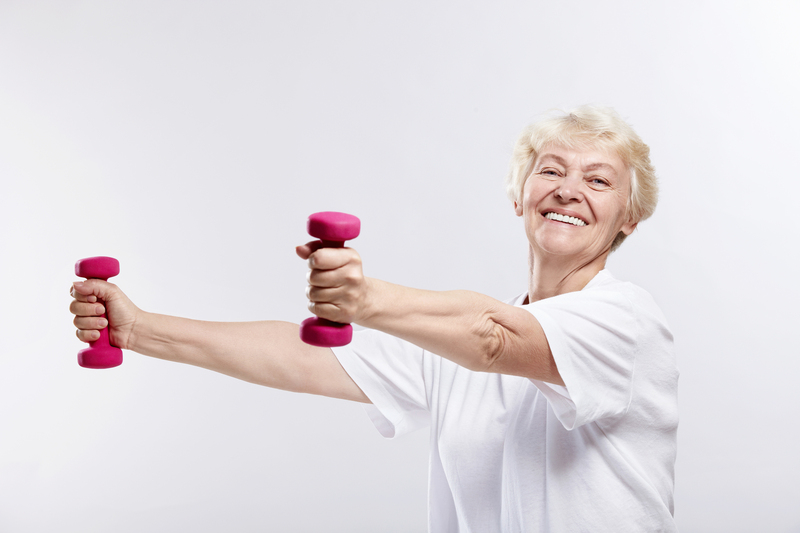 This may include visits by a nurse, exercises with a physical therapist and a home health aide to help her with personal care. In Home Solutions PLUS is an award-winning home health care agency of WRC Senior Services, which has been providing care for seniors in the area since 1890. Visit online at www.wrc.org or on Facebook. 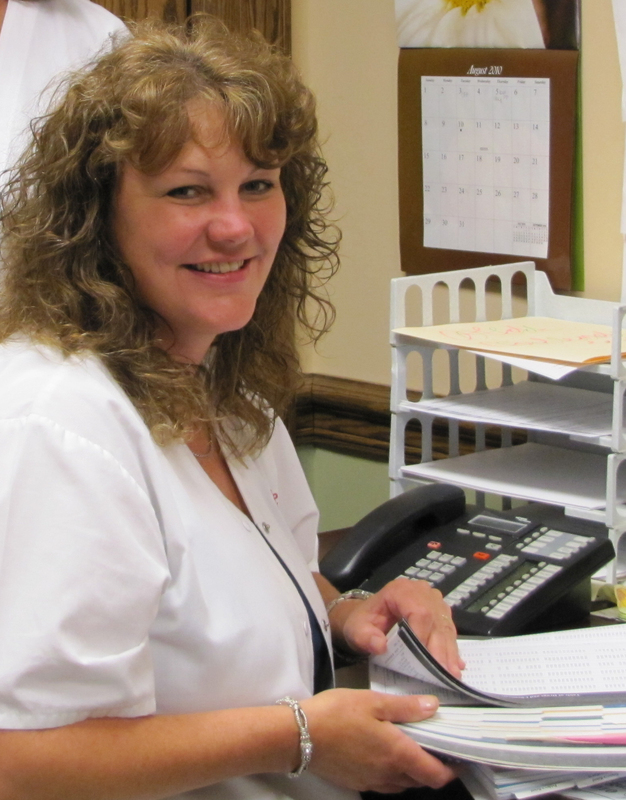 Brookville resident Kelly Snell is a registered nurse and has served as the Director of Professional Services at In Home Solutions PLUS for five years. Watch for the next edition of “Ask A Nurse” in July! A few days ago, I was having a conversation with a new friend about toys we loved when we were kids – Star Wars action figures and Legos. I still love Legos. That’s the great thing about having nieces and nephews. They get the toys, and I get to play with them while I “help” build their creations. My friend confessed to buying a Star Wars set last year. I said, “Hey, there’s nothing wrong with that!” But we both know the world gives you a pretty weird look if those toys you’re buying aren’t for an actual child. Why should it? Why are we too old to play? Who made up these dumb rules anyway? So imagine my excitement to find that this year’s theme for Older Americans Month in May is “Never Too Old to Play.” Now we’re talking. Older Americans Month was created in 1963 by President John F. Kennedy. At that time, there were 17 million adults over the age of 65 in the U.S. and 1/3 of them were living in poverty with very few programs to support them. The presidential proclamation was to draw attention to the needs and concerns of older Americans and celebrate their contributions to building our nation. We’ve come a long way since that first May. The Administration on Aging picked this year’s theme “Never Too Old to Play” to encourage older Americans to stay active and engaged in their lives and the community. So have some fun this month! “Play” doesn’t mean you have to break out those favorite toys from childhood, but if you want to… by all means. Play is about doing something that you find fun, that gives you joy, that makes you forget what time it is. For me, that’s kayaking. 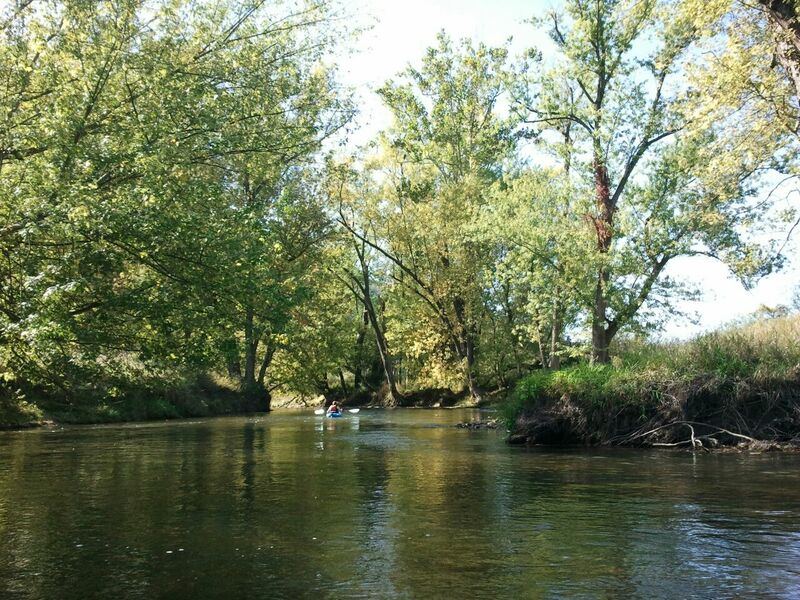 I could spend all day on the river, meandering and floating along, feeling the warmth of the sun on my skin and the beauty of nature all around me. What is it for you? How can you celebrate Older American Month and get in some quality play this month? 1. Get moving! Exercise is good for the body and soul. Challenge friends to a Wii bowling or Wii sports tournament. Go for a group walk/hike. Take a new exercise class at the local Y. Like watching “Dancing with the Stars” on TV? Why don’t you learn how to do that rumba? 2. Get thinking! Host a get-together to play some board games. Take a class about something you’ve always wanted to learn more about. 3. Get some new friends! Attend an event or club meeting you’ve never been to before. Volunteer for a local organization you believe in. Get a Facebook page and start connecting with others from all over the place. 4. Get creative! Start working on a project with others – quilting, gardening, painting, acting, building. There are so many things you could use your talents for and have fun doing. I’ll leave you with an interesting quote from George Bernard Shaw said, “We don’t stop playing because we grow old; we grow old because we stop playing.” Have a fun month! Being diagnosed with a chronic health condition is overwhelming, whether it’s diabetes, heart disease, cancer. Chances are you’ll have so many questions, so many tests and doctor’s appointments to attend, life changes to make. How do you cope with this so that you can manage your condition in the best way possible so that you feel the best possible? By carrying around a little secret weapon – a never-give-up positive attitude. You may feel like you have no control over what’s happening to your body, but you do have control over what’s going on in your mind. There are countless studies showing you will only benefit from having a positive attitude, so why not give it a try? I’m not saying positive thinking is going to cure you, but wouldn’t you rather be walking in the sunshine than under a dark cloud of pouring rain? Are you wondering – what does she know? Who am I to tell you about being positive in the face of a chronic illness? I am walking this road too. I was recently diagnosed with a chronic inner ear disorder. 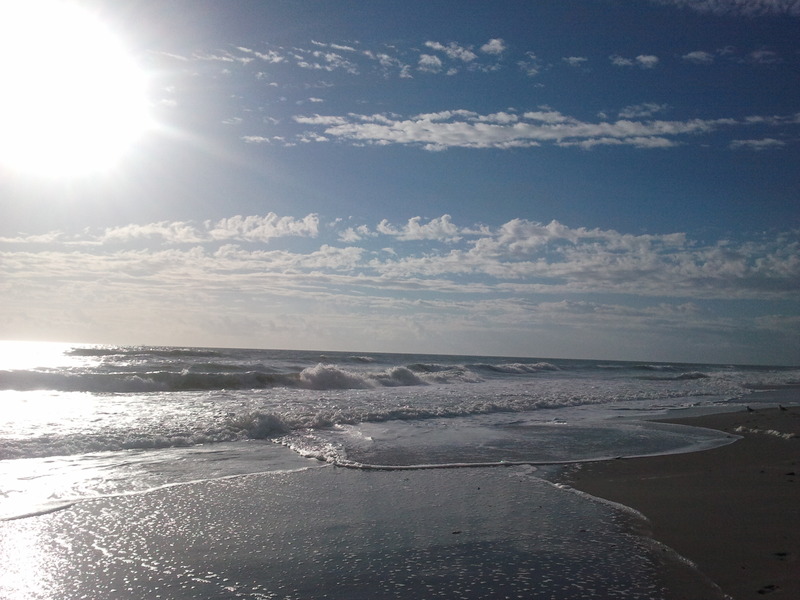 So on those days we are feeling poorly, how do we keep a hold of that sunshine? This is what I do. Spend time with your loved ones. If not in person, on the phone, through the mail, email or Facebook. Just being around those who love you can lift your spirits. Find others going through the same thing. Whether you attend a local diabetes support group or find an online group or forum. The internet has opened up a whole world of people you can meet, going through the exact same thing. Laugh. Read a funny story. Watch a funny movie. Look at funny pictures. Anything that will bring a smile to your face and a laugh to your belly. Help somebody else. It will get your mind off your own situation. Focus on your blessings. Do what the old hymn says and “name them one by one.” Even with the bad things going on in your life, there are good things too. By focusing on those, you’ll boost your positive spirit. Now I mentioned in the last blog that I would also share some ways WRC Senior Services can help you or a loved one cope with a chronic health problem. From the resources on our website to a phone call to any one of our communities, we are here, and we are experts in caring for individuals with chronic health problems. If taking care of your own home and yard becomes too much, WRC offers three different residential neighborhoods for older adults – The Village and North Fork Heights and The Laurels. The relief of those extra burdens can help you tremendously. In Home Solutions nurses can monitor your symptoms. Want to stay in your own home but need help to do so? WRC Senior Services offers In Home Solutions PLUS, a home care and home health care agency. They can also help you recover after a hospital or nursing home stay with a full range of skilled nursing and therapy services. There is also our newest service DayBreak at Laurelbrooke Landing. Participants come to the center 1 – 5 days a week, full or half days, depending upon your needs. Those with chronic health issues benefit from a service like DayBreak because of the regular wellness monitoring, supervision, medication management, assistance with personal care and socialization opportunities. People who were really struggling at home often see their condition improve after moving into a WRC personal care home, because of the regular nursing supervision, medications being administered regularly and in the correct dosages by trained professionals, regular, nutritious meals and the social aspect of living in a community full of others, instead of home alone. So keep a tight hold on that sunshine and don’t hesitate to tap into the resources available to you so that you can live the best life possible, regardless of your health issues! Please feel free to leave comments or ask questions below. Maria stops taking her blood pressure medication because of the cost. Jim has skin cancer removed and never goes back for a follow-up. David stops taking his asthma medicine because he’s doing well and doesn’t think he needs it anymore. Alex ignores the low sodium diet her doctor puts her on because it’s too hard to follow. Jillian never goes in for gynecological exams because it’s too embarrassing. People make decisions like this everyday. Why? Why do we roll the dice on our most precious gift – our health? According to the Centers for Disease Control and Prevention, one out of every two Americans has a chronic condition, such as heart disease, high blood pressure and diabetes. That’s a lot of people out there living with a chronic health problem! If you are one of those, taking steps to manage your chronic condition can mean a much better quality of life, especially as you age. You’ve got one life to live and one body to live it in. Take care of it as aggressively as you would protect your own children from harm. So if you’ve been diagnosed with a chronic condition, what do you need to do? 1. Take your medication as prescribed for your condition. If you have unpleasant side effects, questions or concerns, talk to your doctor and pharmacist. Don’t just quit taking it. There are lots of other options available. Can’t afford your medication? There is help. First, ask your doc about using generic meds. Ask for samples when you’re in the office. Older adults may qualify for PACE or PACENET. Many pharmaceutical companies offer assistance with paying for medications. And there are other Prescription Assistance Programs available. Here are some websites that can give you additional info to get you started – Partnership for Prescription Assistance and Pennsylvania Patient Assistance Program Clearinghouse . Your doctor and pharmacy should have info on these types of programs as well. Just have trouble remember ing to take your meds? Get a pillbox with an alarm or set a timer. You can find several options on Amazon.com or check with your pharmacy. 2. Make and keep follow-up appointments with your doctor. Even if you are feeling okay, your doctor may detect a small issue that he can treat before it becomes a big one. If you start experiencing a flare-up in symptoms or a change in symptoms, don’t wait until your next appointment. Call and schedule one today! Remember the best way to manage a chronic disease is with a small correction before symptoms get out of hand. 3. Follow your doctor’s recommendations for your treatment. These three things are a few ways to keep a handle on your chronic condition. In the next blog, I’ll share with you more tips and how WRC Senior Services can help! Remember your health is your greatest gift. Don’t take it for granted. With Thanksgiving behind us, the Christmas season has kicked into full gear – a time of celebrating with family, friends and co-workers and enjoying those long-standing family traditions. In our family every December means watching our favorite Christmas movies, such as “It’s a Wonderful Life” (which we can quote by heart), sipping hot apple cider and playing some lively board games. It’s a time for decking the halls in tinsel, twinkling lights and candy canes and thanking God for his greatest gift. It’s a time when joy is toasted, carried on a song and wrapped in little red bows. But for some, joy will be in short supply this holiday season. There is a sharp increase in depression in the elderly during the month of December. Think about all the things that you love about the holidays – your favorite parties, favorite foods, favorite family traditions, seeing all those loved ones and friends. Your elderly loved one had a lifetime of those too, but things have changed. They may have loved ones who’ve passed away or moved away, they may have health issues that prevent them from enjoying those holiday events. Instead of being a time of joy, Christmas becomes a reminder of all the things that have changed, the things that they’ve lost. What can you do to help an elderly loved one who’s having a blue Christmas? First, watch for the signs. If you think an elderly loved one is struggling with the holiday blues, here are some things you can do. Visit, call or write more frequently. They are acutely aware of being alone this time of year. A little extra reaching out will help ease that loneliness. Involve them in planning family outings and activities. Ask for their suggestions and opinions. This will make them feel included and still a part of family traditions. If they are able, encourage them to get out of the house and go to activities at the local senior center or their church. Getting out of the house for a little social interaction goes a long way to easing depression. If they can’t get out, ask their pastor or friends to make a visit. Reminisce about the past with them, rejoicing in those memories and giving thanks. Look at old photos and swap favorite memories. Encourage them to make a list of what they are thankful for in their lives right now. Nothing lifts the spirit better than focusing instead on what you have, not on what you don’t have. Talk to them about their sadness. Express your concern and empathize by sharing a time you’ve felt sad or out of sorts. Then listen. Sometimes all they need is a caring heart and open ears. If you have small children, have them make a Christmas craft together. Not only will they enjoy the time together, but they’ll have a gift they can give. You could also bring some holiday stories they can read to each other. Making it look like Christmas, will make it feel like Christmas! Acknowledge those who have passed away that your loved one is missing as part of your holiday celebration. A few ways you can do that – light a candle as a memorial, make a toast, place their picture in a place of honor or take turns sharing your favorite funny story or memory about them. Make new traditions together. Yes, a lot has changed. Giving them new things to look forward to will help. If they always enjoyed a brightly-decorated home but can no longer do it or are living in a long term care community, decorate for them. Being surrounded with the beauty of the holidays will brighten their spirits. If none of these suggestions help or your loved one’s depression is persisting beyond the holiday season, it may be time to talk to their doctor. Please feel free to comment and share any suggestions you have for making it a Merry Christmas for elderly loved ones. Wishing you and your loved ones a truly blessed and joyous holiday season together! Earthquakes and hurricanes – kind of an odd week on the East Coast. We are lucky the earthquake really caused no damage in Western Pennsylvania, and the hurricane isn’t expected to have much impact here either. The same cannot be said for Virginia and the coastline in Hurricane Irene’s crosshairs. It got me thinking. Am I prepared if a natural disaster would hit here? My answer, as most of yours probably is, would be no! Sure I have an emergency roadside kit, but when’s the last time I checked its contents? About two months ago when a cousin needed his vehicle jumped after a family camping excursion. I pulled out the flashlight in my kit to help us see. The batteries were dead. The cables still worked though! Did I change those batteries? Nope. Tossed it back in the bag thinking, “I’ll take care of that later.” That’s the thing. No one ever expects disaster to strike. If it does, I will sure wish I had that flashlight, among many other things. So I started doing a little research about disaster preparadness. There are LOTS of great websites out there. If you don’t have the time to peruse (which let’s face it, none of us do), here are the highlights to help you prepare for a disaster. Get Informed – After a disaster, help will be on the way from relief workers and government officials, but how long will it take to reach you? You should be prepared to survive on your own for a minimum of three days. You need to think about how you will provide your own shelter, food, water, first-aid and sanitation during that time. You also need to think about what kind of disasters you’re preparing for. The most likely natural disasters to occur in Pennsylvania are floods, winter storms, tropical storms, tornadoes, wind storms and earthquakes. When planning, keep these types of emergencies in mind. 1. Designate family meeting places – pick one near your home and one outside your area in case you have to evacuate or can’t get near your home at all. 2. Decide how you’ll communicate – pick a relative or family friend outside the area that your family can contact to get back in touch. Everyone should have the name, phone number and address of that person. 3. Plan how to evacuate your home – talk about escape routes from each room. Know how to shut off your utilities. 4. Plan how to evacuate your area – map out several escape routes from the area in case roads are flooded or closed. Always keep a half tank of gas in your vehicle. 5. Put your important records in a fireproof, waterproof safe so they will be protected in a disaster. Take them with you. We all hope disaster never strikes; but take a few minutes now, while news of the earthquake and hurricane are fresh in everyone’s minds, to come up with an emergency plan to guide your family in the case of a crisis. Have any tips or questions? Please leave a comment! Stay safe.